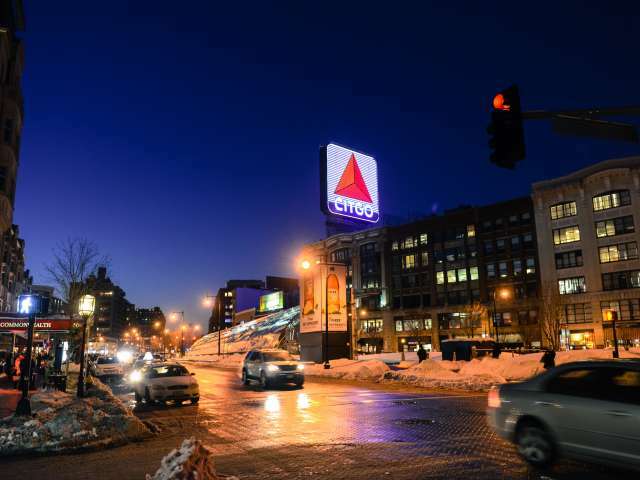 The famous CITGO sign shining brightly in Boston’s Kenmore Square. 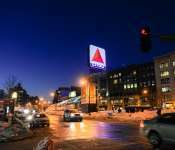 The sign sits atop the Boston University bookstore and measures 60 feet by 60 feet. It is computer-operated and its double-face illuminates the night from dusk until midnight.